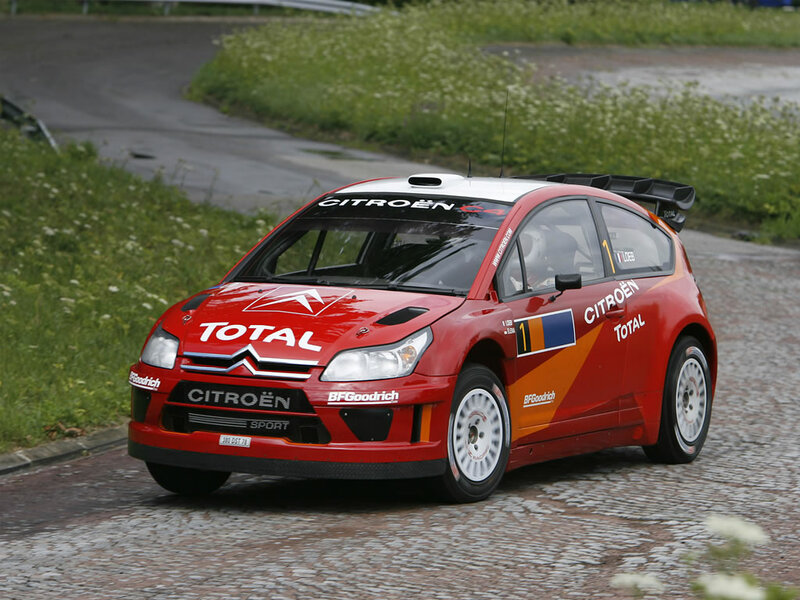 The Citroen C4 WRC was developed in 2006 for competing in the 2007 World Rally Championship (WRC). 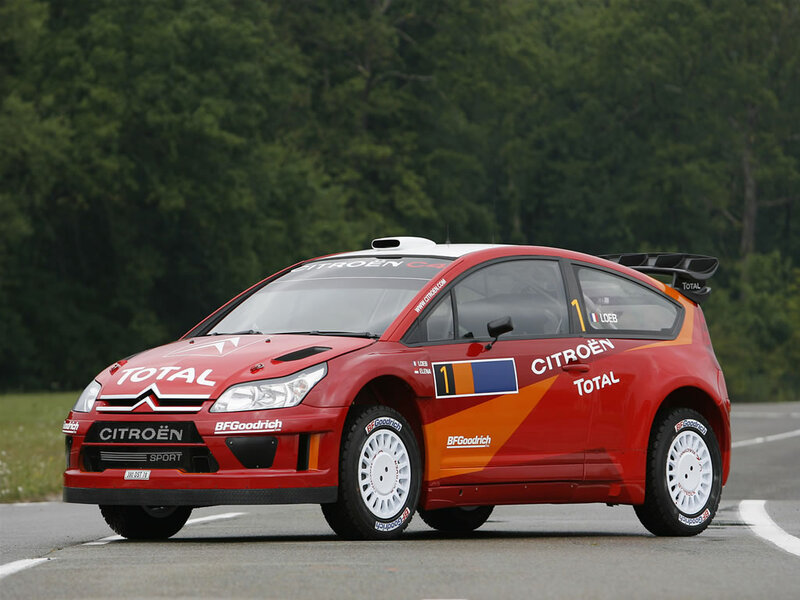 The Citroen C4 WRC replaces the Xsara WRC, winner of three world manufacturers crowns between 2003 and 2005. 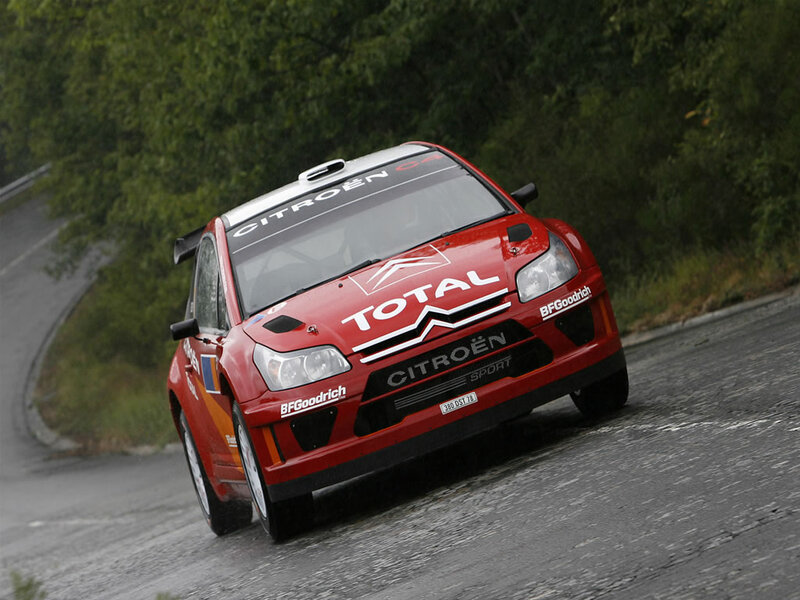 The Citroen C4 WRC was the car driven by Sebastien Loeb to win its fourth world rally driver crown. 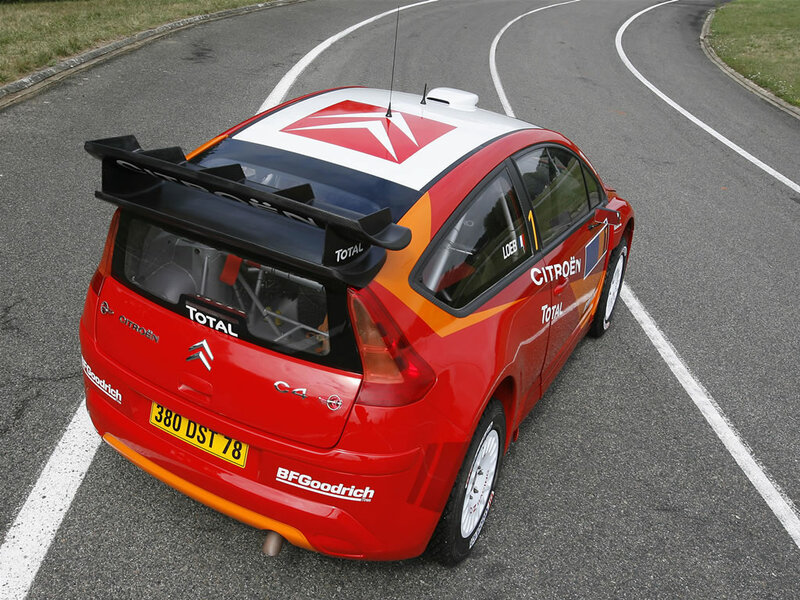 The C4 WRC maintains the overall styling of the C4 Citroen Sport concept car but was adapted to international regulations and performances requirements. The project working group came up with a first rolling model that was already a long way from the original concept. The roof, for example, was no longer made of glass, since this is banned in rally racing. The front and rear wings, bumpers and spoiler were modified to satisfy regulations and performance criteria. To save time and money, a number of body parts were studied in wind tunnels on a scale of 1/4 before validation of the full-size parts at the end of the project. 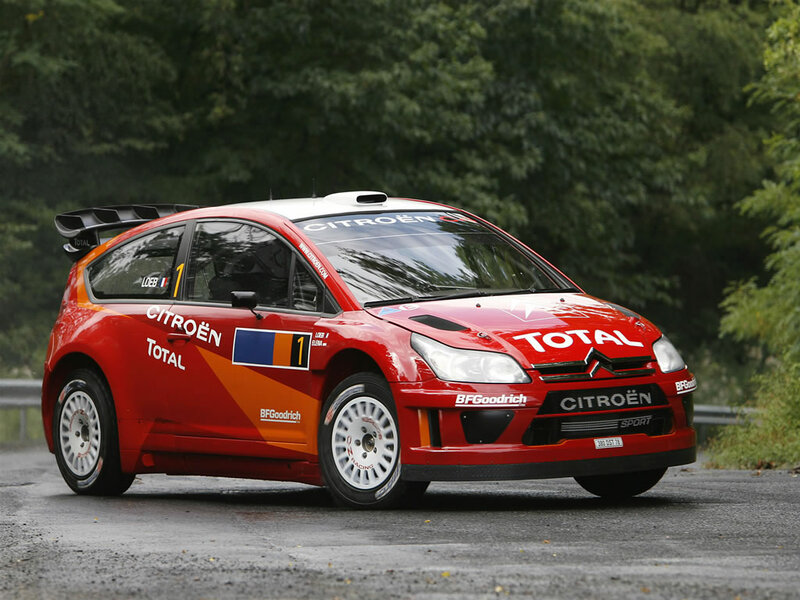 The Citroen C4 WRC features four-wheel drive and a 2 Litre turbocharged engine mated to a cross-mounted 6 speed gearbox. At 420 cm, the C4 WRC is longer than the Xsara and, in line with regulations, therefore has a larger width of 180 cm, compared with 170 cm for the Xsara WRC. This change provide better stability on bends. 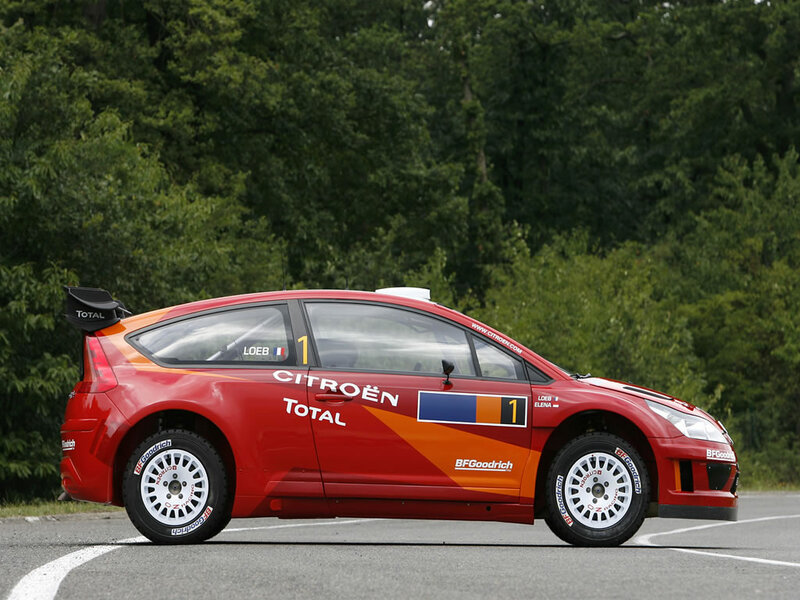 The C4 WRC has protruding wheel arches to fit larger tyres and tracks. Transmission: 4WD; Carbon three disc clutch; mechanical differentials on the front and rear axles, electronically controlled differential at the center; sequentially controlled 6 speed semi-automatic transmission.